Lincoln Park Zoo is a world of wildlife in the shadow of skyscrapers. Located within a verdant park just minutes north of Chicago, the zoo has been a natural, free oasis for generations of animal lovers, who visit the zoo to hear a lion’s roar echo off nearby apartment buildings, see gorillas climb trees as the Willis Tower looms in the distance, or forget where they are as they immerse themselves in tropical rainforests, dry-thorn forests or spacious savannas. We invite you to visit the wildest spot in Chicago, where each year millions of guests marvel at wild wonders as they play and learn. Lincoln Park Zoo is open 365 days a year and is always free. 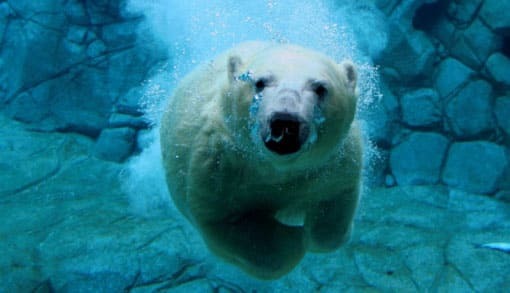 Free and open every day of the year, Lincoln Park Zoo has something for everyone. Meet animals from around the world, relax among Chicago’s most-visited gardens and join us for exciting daily programs and events. Lincoln Park Zoo is one of Chicago’s top family destinations. Meet blue-tongued skinks, grab lunch at Park Place Café or join us for fun family events including the opportunity to Sleep Under the Skyscrapers. Lincoln Park Zoo isn’t just for kids. Adults can get nose-to-nose with great apes, take a break with beer and wine, and sign up for gardening classes and adult-only extravaganzas.